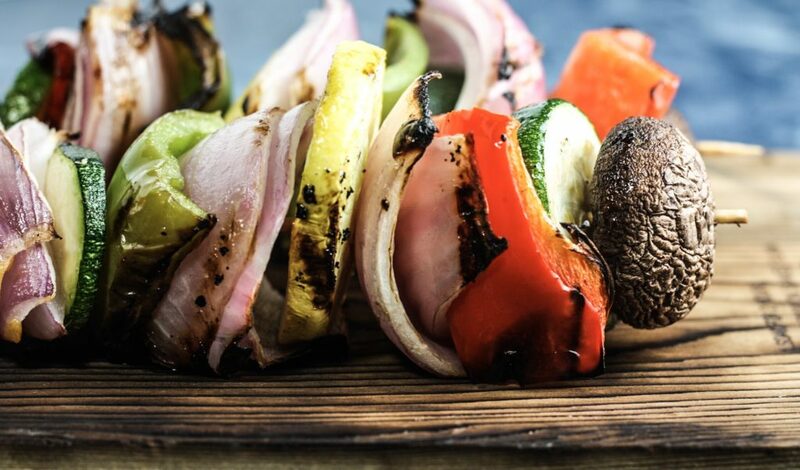 This Grilled Vegetable Skewers Recipe makes an easy camp food side dish. 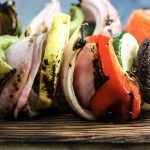 These Grilled Vegetable Skewers are super easy to make and a great grilled side for camping. People can make their own, depending on whatever types of vegetables they like and you can customize using different spices. If you're using wooden skewers, start by soaking them in water for at least 30 minutes to prevent burning. Chop vegetables into bite size pieces then slide them onto the skewers in whatever order you like and using whatever vegetables you like. Rub skewers lightly with olive oil then season with salt and pepper. Place on a grill over high heat. Rotate every three minutes or so for 12 minutes or until vegetables have a good char on them and are slightly soft.